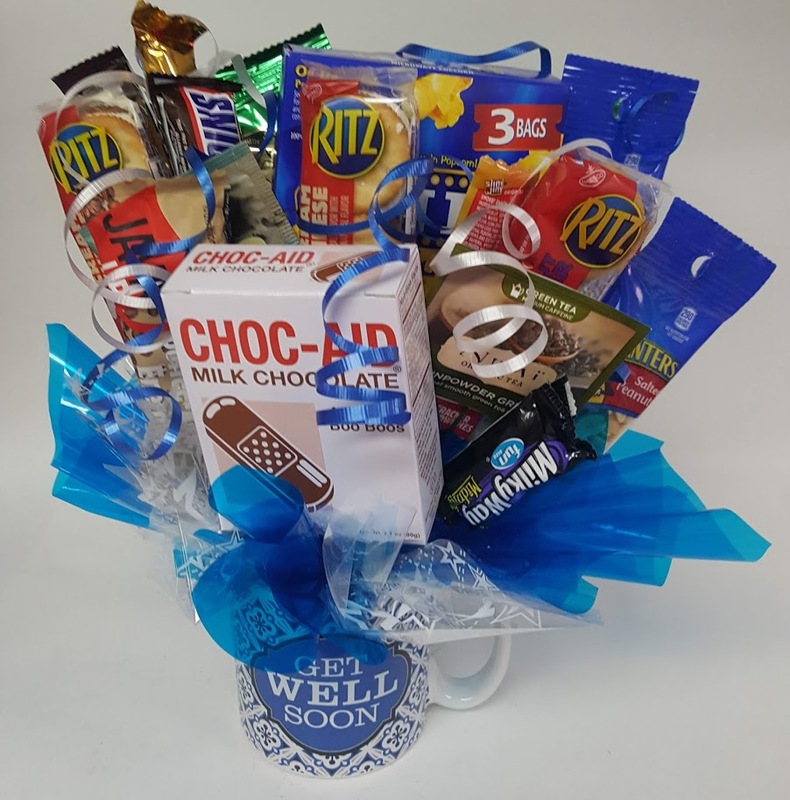 Cheerful and affordable Get Well wishes for your loved one, co-worker, or friend. Includes a generous bouquet of premium candy bars and other sweet treats in a beautiful heavy porcelain coffe mug. Express your healthy wishes without breaking the bank!